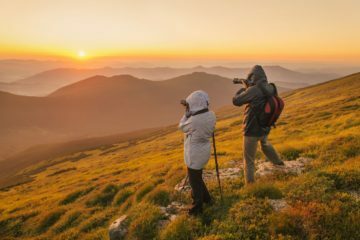 Understanding exposure is essential to learn how the amount of light getting into your camera’s sensor directly affects the quality of your images. While this may sound daunting when you’re starting out as a photographer, grasping the main concepts will eventually help you gain control over your camera and its settings, get out of auto mode and master the art of photography. Here at The Adventure Junkies, we will teach you the basics of photography. We’ll teach you about exposure. We’ll also explain the three elements, namely, ISO, aperture and shutter speed, that directly affect how light gets in your sensor to guide you in taking a properly exposed photograph. When you capture a moment, whether it be a landscape or a portrait, you’re allowing light into your camera’s sensor. 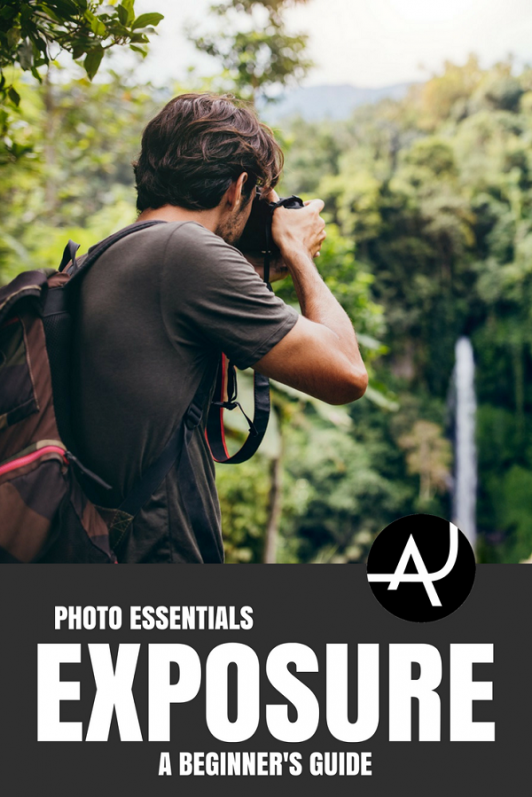 Exposure refers to the amount of light you actually let in your camera. If you allow too much light in, the photograph will be washed out or burned (overexposed). Meanwhile, not letting enough light into the sensor will cause it to be too dark (underexposed). With this in mind, we can say that photography is the art of learning how much light you need to let in your camera to have a properly exposed photo. But, how do you accomplish that? There are three elements that directly affect how light enters and interacts with your camera: ISO, aperture and shutter speed. These are known as the exposure triangle. Understanding how these variables affect your photo is essential to take your photography skills to the next level. ISO indicates the camera’s sensitivity to light. Back in the day, when we shot with film cameras, ISO primarily focused on the film’s sensitivity to light. Remember when you’d go to Rite Aid and ask for an ISO 200 24-exposure roll of film? Now, digital photography allows us to no longer need rolls of film to take a picture. So, the sensor just regulates the sensitivity of your camera to available light. The lower the ISO number, the less sensitive it will be to light. Higher ISO numbers are generally used in darker situations to compensate for the lack of available light. But, a higher ISO number also means producing a grainier photograph. What ISO number should you shoot your photographs with? That will depend on where you’re shooting and the type of photograph you’re taking. If you’re shooting a landscape outdoors and it’s a bright-sunny day, then set your camera’s ISO to the standard 100. You will not see any noise in your shots when you keep this setting. For overcast days when you’re shooting outdoors, it is best to increase your camera’s settings to ISO 400. There will be less light coming in to your camera sensor, so having a higher ISO will help compensate for the lack of light in your environment. You will hardly see any grain in your pictures as camera sensors have become very sophisticated in recent years. If the light is dim, either because you’re shooting after the sun has set in the horizon or because you’re indoors, you will need to increase your camera’s ISO to 800 or more. There may be some noise appearing in your photographs at this point. The second element in the exposure triangle is the aperture. Simply put, this controls how much light you’re letting in the camera’s sensor. The aperture also affects your depth of field or how much of your image is focused compared to the subject you’re photographing. If you’re taking a macro shot of an insect and want to have everything else blurred out, you will need to open the aperture as much as possible. This is where it gets a little bit tricky though as the camera’s aperture is measured in f-stops. Most lenses will have a range of f-stops that can go from f1.4 to f22. The smaller the digit (f2.8), the larger the aperture will be and vice versa. Meaning, the bigger the digit (f22), the smaller the aperture. When shooting in dimmer light, open the aperture to allow more light to get into your camera sensor. We have discussed the sensitivity to light and amount of light we’re letting into our camera’s sensor, but there’s a third element to take into consideration when talking about exposure. This is the shutter speed. 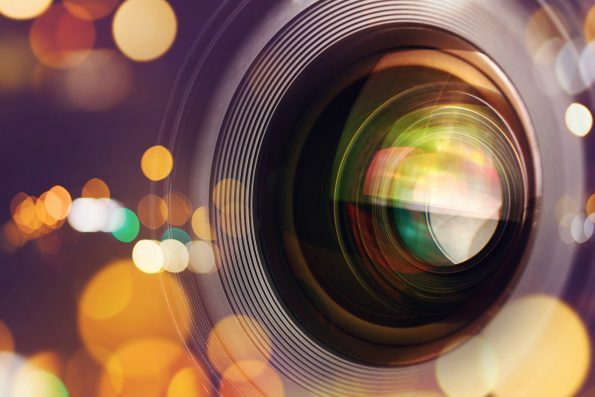 A camera shutter is a “curtain” that opens and closes to allow light in your camera sensor. Shutter speed refers to the amount of time we’re leaving that curtain open. Depending on the speed of the shutter, you will either freeze the moment or capture it by creating a motion blur. The speed of the shutter opening and closing is measured in fractions of a second (1/125) and up to several seconds (2″-30″). The more time you leave the curtain open, the more light you will be letting in your sensor. However, shooting with a slower shutter speed might also mean getting some motion blur in your photos. That’s why it will be important for you to carry a tripod. 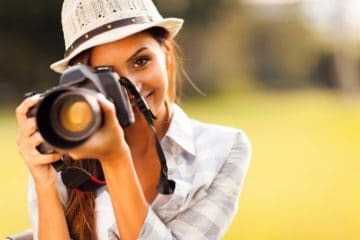 As a photographer, you will need to take these three variables (ISO, aperture and shutter speed) into consideration to get a properly exposed photograph. Think about the type of picture you want to take and look at your surroundings. Depending on the amount of light you have available, select the right ISO. Then, study your subject. Is it a landscape, cityscape or a portrait? Based on that, select the right f-stop for your aperture. As a rule of thumb, close your aperture for landscapes so that everything is evenly focused. Open it when shooting portraits, so that the background looks blurry. Lastly, select the right shutter speed. Figure out whether you want to freeze the moment or capture the motion. When shooting landscapes, especially when you have a river or waterfall in your frame, it might be a good idea to have a slower shutter speed to give the flowing water a silky effect. If you’re out in the wildlife, you may want to select a faster shutter speed to freeze that gazelle running in the African savannas. 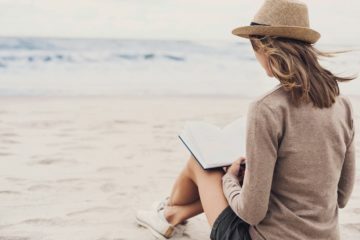 While these three concepts may be a little difficult to understand and digest initially, practicing with the settings will eventually help everything “click” in your mind and make sense. As the saying goes, practice makes perfect. 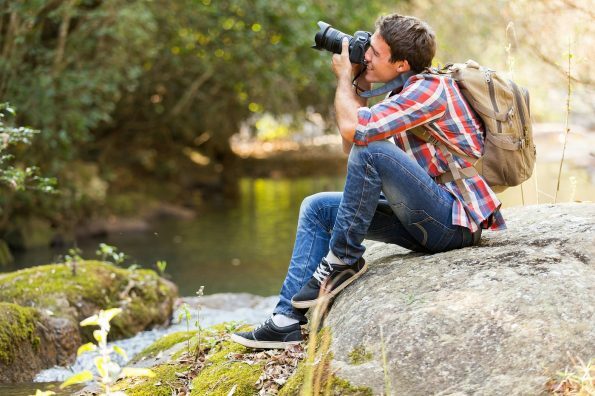 So, go outdoors and start practicing with your camera’s ISO, aperture and shutter speed settings. Born and raised in Spain, Maider is a travel writer and photographer currently residing in sunny California. She has visited over thirty countries to date and recently completed a solo trip around the world. She enjoys the outdoors and spends much of her free time exploring Southern California’s hidden treasures.